Back, once again, is my annual Christmas music mix. 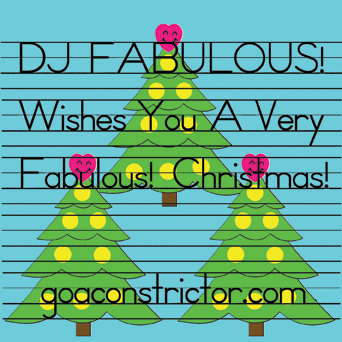 A collection of some delightful remixes and soothingly seasonal beats. While Christmas itself is a polarizing holiday, when the music is good, it is really good. One of these days I’ll make a sequel to this mix, but for now… HAPPY HOLIDAYS! This entry was posted in MiXeS and tagged 486Bliss, Alexkid, Andy Williams, Arp, Awayteam, Baz Kuts, Bent, Bing Crosby, Charles Brown, Charlie Parker, CSSR State Philharmonic, Dean Martin, DJ Sleep, Duke Ellington, Eartha Kitt, Future Loop Foundation, Julie London, Kaskade, Kay Starr, King Kooba, Lou Rawls, Louis Armstrong, Mahalia Jackson, Mel Torme, Michael Kessler, MJ Cole, MNO, Mulato Beat, Patrick Krouchian, Patti Page, Red Baron, Robbie Hardkiss, Rondo Brothers, Rosemary Clooney, Shrift, Stuhr, The Berlin Symphony Orchestra, The Nat King Cole Trio, Thunderball, Ursula 1000, Velma Middleton, Vic Damone by admin. Bookmark the permalink.